Place your wagers anywhere you can access the Internet, by computer, tablet or mobile device. OTB provides a convenient, exciting and safe way to wager on horse races with excellent customer service every day. OTB never imposes any fees or charges to join, to wager, or to watch live racing video. Bet & watch live horse racing from the best race tracks around the world with up-to-the-minute live data and live video feeds: Gulfstream Park, Santa Anita Park, Belmont Park, Aqueduct, Saratoga, Del Mar (complete track list). Place your bets at North America's best harness tracks and wager on marquee races like the Hambletonian, Little Brown Jug, Adios and Meadowlands Pace. Enjoy Standardbred horse racing every day with live streaming video from the top Harness Racetracks from across North America: Meadowlands, Woodbine & Yonkers - complete track list. Nothing gets the pulse racing faster than the fast and furious pace of Quarter Horse Racing. Bet & watch America's Fastest Athletes compete at the top Quarter Horse tracks including: Los Alamitos, Ruidoso Downs & Remington Park - complete track list. OffTrackBetting.com offers International pari-mutuel wagering in Australia, Canada, Dubai, Hong Kong, Ireland, Japan, New Zealand, South Africa, South Korea & United Kingdom. Whether you like Thoroughbreds, Quarterhorses, Harness racing, or Greyhound racing, OTB has the racing you are looking for at almost all hours of the day. Make cash back on almost every wager you make - win or lose! Earn valuable Cash Rewards every time you bet horses. 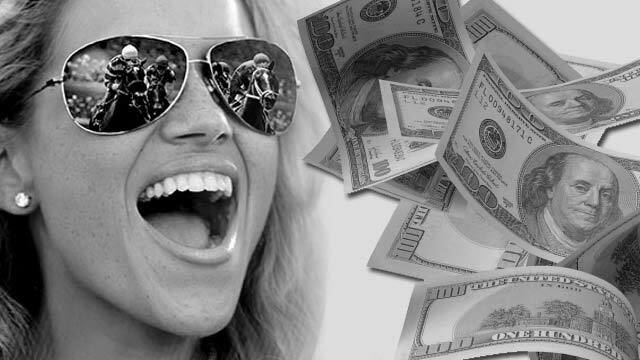 OTB offers one of the most competitive Horse Racing Rewards programs available anywhere. Other online Race Books claim the same, but if you look at the Horse Racing Rebates you will see the difference. OTB has been designed to give you the best Mobile Horse Wagering experience possible without having to download any apps. Watch & bet live Horse Racing online or on your mobile device. All wagers through the OTB website are delivered electronically and commingled with host track pools, with all winning wagers paid at full track odds. FREE Live Horse Racing Video for active wagering accounts. FREE Horse Racing Picks - Selections for New York race tracks, Aqueduct, Saratoga & Belmont Park. FREE Newsletters - News and schedules for upcoming Graded Stakes events and more. Fast enrollment system gets you wagering in no time. 300+ Tracks Worldwide. Bet Thoroughbred, Harness & Quarter horse racing & Greyhound Racing. Direct deposit of funds by Visa, MasterCard & Discover Credit Cards, Neteller, ACH Bank Transfer, PayNearMe, Dwolla, Bank Wire + more.